Limit 1 per person; may purchase 3 additional as gifts. Valid toward regularly priced merchandise. 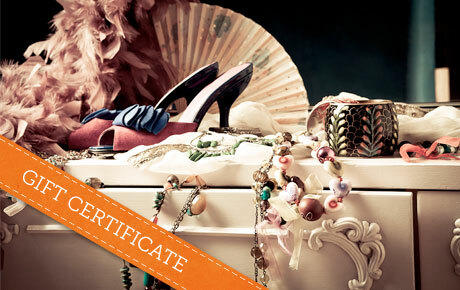 Full value of Gift Certificate must be redeemed in 1 visit. Add a touch of distinction to your life with 50% off a $30 Gift Certificate to Brie's Gift Gallery in Park Ridge. This unique gift shop carries a variety of vintage jewelry as well as artwork, pottery, lamps and more. Mother-daughter duo Annamarie and Brigid have always been passionate about vintage and handcrafted items. In 2006, they decided to combine their talents and open Brie's Gift Gallery. The unique shop outgrew its first two locations, and is now situated in Park Ridge. They sell a variety of vintage costume jewelry as well as pieces designed by local artists. Browse a wide selection of designer pens, handbags, hair accessories and other items that are sure to delight. Brie's Gift Gallery also carries beautiful home accents and gift items. Accentuate your style with this charming deal.